I’m sure you’ve seen it, maybe even experienced it yourself. Some managers seem to get the promotions and others do not, even though those who are not promoted work very hard and are extremely conscientious about managing technology resources effectively. This happens for technology employees as well, not just managers, , , some get the nod and others do not. If you are interested in what’s going on read the rest of the article. 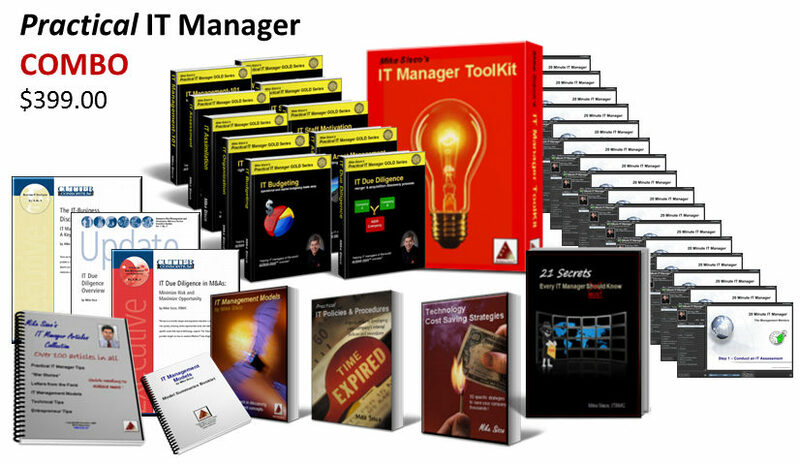 I’m going to give you a senior management perspective that can help you in your management career. As a CIO or executive of a company, we want to promote from within as much as possible. Promotions encourage our employees and to be quite frank, we like taking care of our own when they do a good job for us. Unfortunately, we can’t always promote from within our company and must go outside to find the resource required to do a certain job. There are several important issues that position you for a promotion no matter what your current position happens to be. You have to be doing a good job in the position you are in and we must be able to back fill your position when you are promoted. In addition, you need to be right for the job in question. Let’s break each of these aspects down a bit and explain. Job performance – This is a “no brainer”. To be promotion material, you need to be excellent at what you are doing. As a senior manager, I want to promote the top 10 to 20 percent who I think will be able to rise to the occasion when confronted to the bigger challenges and issues of the new position. Job performance is a key factor we look for when determining whether someone should be promoted and who can handle the challenges of the higher position. 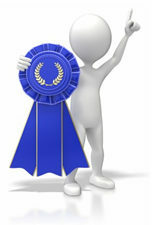 Simply put, we promote the best we have, not average or poor performers. Back fill your position – Being promoted is going to create a gap in your current area of responsibility. Your position will most likely need to be filled. I can’t tell you how many times I’ve sat in senior management meetings to discuss the needs of a new position of a growth company and not be able to promote from within. When looking through our organization, we had people who had shown the performance to make them a good candidate for the higher role but when looking at how we would fill the gap created by promoting them, we had to back off making them the offer because there was no one to fill their position. Many times we had to go outside when we had a great internal candidate, but losing them in their current position was too big a risk. A management-101 principle is that you need to find a way to position someone to take your place. Having the skill and experience isn’t enough; you need to be able to fill your position so business continues to run smoothly, , , so start investing in someone to take your place one day. Right for the position – I had a great employee in my Help Desk organization many years ago. 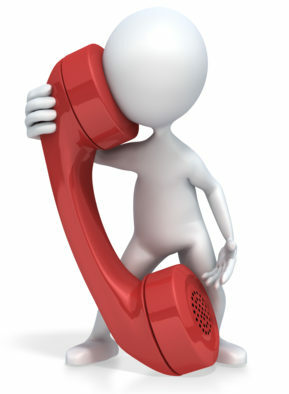 Our company grew very fast and we soon had the need for a Help Desk Manager. My employee had very good management potential but because we were growing so fast I decided to hire someone from outside the company who already had management experience and in scaling up a Help Desk organization of a fast growth company. My employee was pretty upset initially, but I explained to him that promoting him to this particular management position without being able to be there to support him could be overwhelming as fast as we were growing and potentially damage his career. I convinced him that he would become a much stronger manager by learning from a seasoned Help Desk Manager who had already experienced what our company was going through. I also committed to invest in developing his management skills to position him for a management role in the future. This employee became a very strong IT manager and CIO in his own right in later years. Had I put him into a situation that he was not ready for and not support him properly, I could have ruined his management career. You have to have a proven track record of success. 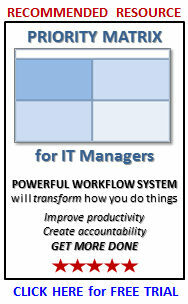 As a manager, you have to deliver tangible results. The same is true as an IT employee. Not only is it important that you achieve quantifiable results, much of whether you are promotion material is about how you go about getting the results. For example, as an IT manager your efforts need to be in sync with your client and they agree that you have done a good job for them. “Client” being represented here by senior managers of the company and department managers. For IT employees and IT managers, it’s imperative that you exhibit strong teamwork as you work with your peers and others in accomplishing your job. We don’t just look at your technical skills when determining if you should be promoted or not. People who work well with others in a cooperative spirit and foster a win-win environment are those we want in senior level leadership positions. So, what this means is that regardless of your position you should pay attention to the track record you are creating and how you are getting the job done. IT has a poor reputation for delivering projects with some studies suggesting that a very high percentage of all IT projects fail. Put yourself in the success group and keep track of your successes. You may find that people, especially senior managers start looking at you differently. We promote the people who we trust will be able to do the job, , , and your past track record is a good indicator of what the future should look like. Sounds pretty simple, but you might be surprised at how many people promise something but don’t come close to delivering it. One very simple aspect of this is to follow-up on your commitments. Whether you are the CIO or a Desktop Support Technician, it’s imperative that you follow-up on any commitment to someone. What often happens is that we see something that will improve a client’s situation so we make a promise to do something for them later. Before we get back to our desk, we are hit with five more issues that need attention and as a result we forget our promise. Well, I can assure you that the person you promised something to does not forget. It may be a very minimal thing that doesn’t even have any real importance, but the fact that we forget tells the person we do not follow-up or take our promises seriously. Nothing increases your value as much as when people view you as, “the person I can count on to do what he says he will do”. This one is significant. People who have strong communication skills have a real edge on those who don’t. I encourage anyone who is reading this article to make an effort to develop your communication skills. 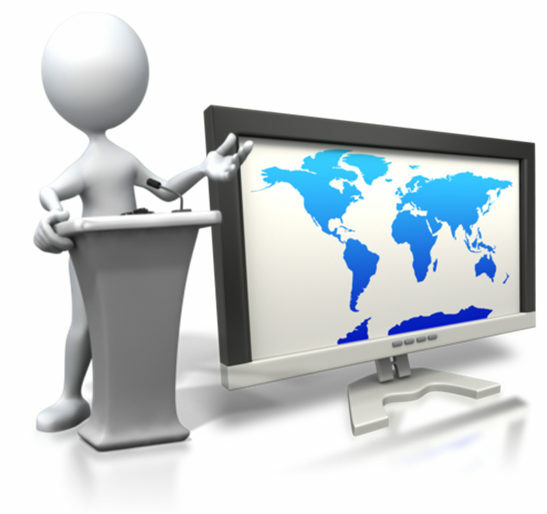 There are training programs everywhere to help you develop effective communication skills. Skills in public speaking, negotiation techniques, organizing and holding productive meetings, presentation techniques, etc. are all important investments you need to make in yourself, , , and don’t forget basics like good writing skills – also very important. Make a commitment to speak in public, make stand up presentations, hold meetings, etc. to develop and improve your communication skills. I cannot emphasize enough how much solid communication skills can mean to you. In many cases, the person who gets the promotion over others is the one who can communicate effectively. Effective communication skills are career differentiators. Being business oriented and focusing your resources on issues that provide tangible business value to your company is key, especially for IT managers. Too often, our managers are focused on the technology and not what the business needs. In management roles, this is a very important issue when looking to determine who should be promoted. I’ll always opt for the manager who knows how to build strong client relationships and has a track record of delivering business value to our business operation clients over the strong technical manager who doesn’t know how to foster strong client relationships. 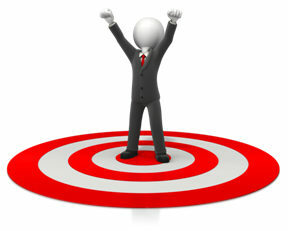 Managers are not good promotion candidates if their focus is out of sync with our business partner’s needs and issues. Many studies suggest that over 50% of all IT organizations are out of sync with the business so this is not a small issue. Senior managers promote those who show they can focus resources on the right issues for the company and don’t get sidetracked into doing things for technology sake. This final point is similar to what we covered in the first point in being “promotion material”, but I think it goes beyond that. If you want the next level of responsibility, then you should try to understand what the new job entails and prepare for it. Maybe this requires additional education, , , maybe you need to gain new experiences or even accomplish certain things that are related to the new job’s responsibilities. The point here is that you need to try and understand what is required of the new position and prepare yourself as best you can to be ready for such responsibilities. What I have found in my career is that promotions tend to come to people who are prepared and ready for the next level. We don’t just give out promotions and hope the candidate will be able to succeed. We can do a lot to help prepare an employee or an IT manager for the next level promotion, but at the end of the day the need must exist for such a promotion to occur, , , and the person must be a good candidate for the specific position. In a small company with very few technology employees, promotions don’t happen quickly. In high growth companies that grow 20-30% every year, promotions tend to happen more often simply because the organization is growing in numbers. When counseling your employees and discussing the idea of preparing and positioning them for the next level, be sure you make it clear that our company has to have the need and the candidate must be a good fit before such a promotion will occur. Otherwise, you will set an expectation that when certain things occur in the employee’s development, the promotion will follow. Again, we have to have the need and a good fit before a promotion will actually occur. I hope this gives you some things to think about as you make efforts to enhance your career and move to the next level. Getting a promotion usually means you are ready for the role so take a look at what is required in the next position and be sure to develop the skills necessary to be successful in the position. The week is almost over. 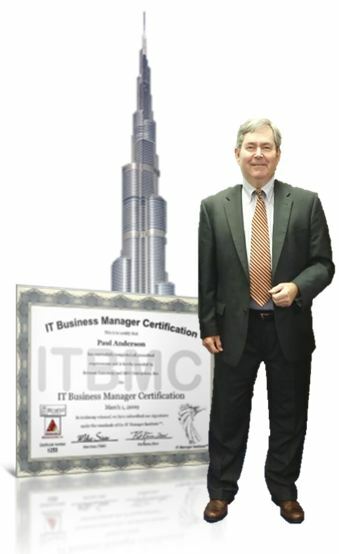 I’ll be delivering the 4th day of the 69th IT Manager Institute today, , , right now it is 5:30am in lovely downtown Dubai. It’s my 15th trip to Dubai and has become a central point to deliver the program in this part of the world. Only 8 managers in this one. I like small classes because we can get to know one another better than when we have 20 or more managers. This group of managers is a lot of fun to work with, , , I’m enjoying this class a lot and the week is flying by. This may be the earliest I have ever posted a class photo of a class, , , normally it is the week after the program. Hmmmm, , , maybe I’m becoming more proactive. 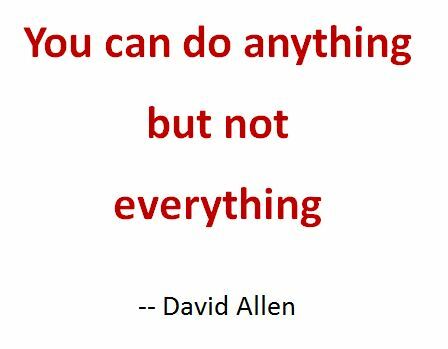 I didn’t know who David Allen was when I first came across this quote years ago, so I looked him up. I still don’t really know him but he appears to have done some things in personal organization and productivity areas, something I’m always interested in. He has written several books including his best seller titled, Getting Things Done. It is worth reading. I’ve used a similar quote in my IT organizations for as long as I can remember, so this “hit home” when I first saw it. Let me give you a couple of examples. First, IT organizations usually have more demand for support work than they can deliver. This is a normal occurrence and something that is probably not going to go away, , , sorry about that, but it’s not. 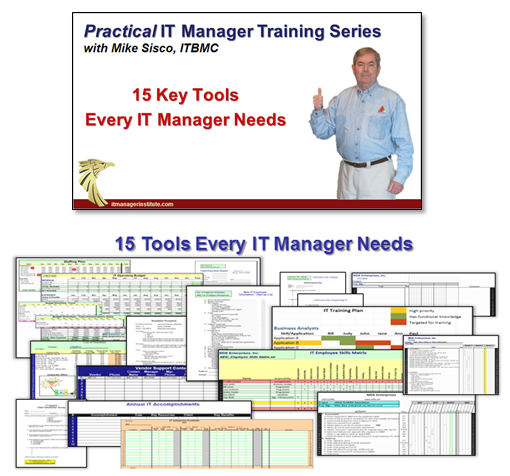 What I explain to my staff and to my business clients is that, “We have to manage the business of IT support.” Having more need than capability and capacity to deliver is normal and occurs in almost every IT support organization in the world. We will never get everything done as quickly as our client wants it completed. Given the manpower and money, we can do virtually anything, , , yes, anything if we have the resources and money. But, , , and this is a BIG BUT, , , our companies can’t afford to write IT a “blank check”. Companies don’t have endless amounts of capital to spend on IT. So, what this says is that we have to prioritize and manage the business of IT support, , , not just assume we can do anything and everything. There is another analogy I use, and it is a personal one. My company is a small company, , , essentially it is “me”. My biggest challenge is deciding “what I will do” and “what I won’t do”. My natural desire is to do everything, , , that’s right, to tackle every opportunity that comes along. The problem is that when you are a small company like mine, time is your single limiting factor. Capital can be as well, , , of course, , , but the biggest bottleneck for a small company is available time to do all that you want to do. So what this says is that you need to be selective in what you decide to work on. 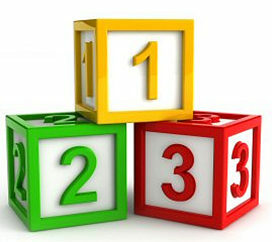 In a small company, you aren’t afforded too many mistakes, , , even little mistakes can have major consequences. This is especially true if you target an “opportunity” and spend lots of time and it turns into a “bust”. Using up valuable time for something that does not provide a good return on your investment will put you out of business, so you have to weigh the risks associated with every new project. 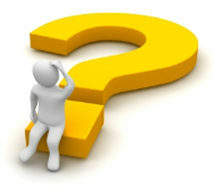 What looks like an opportunity can be misleading at times, , , the same is true in your IT support function. It is imperative that you manage your client’s expectations and help them realize that, “even if you could do everything, , , the company can’t afford it and the users probably couldn’t absorb that much change so quickly”, , , so even though certain requests are not delivered as quickly as the client would like, there are legitimate reasons why this occurs. In fact, this little quote applies to most things in life if you think about it, , , you may have to manage your own expectations a little.